We will begin with a movie and an inspiring discussion with “the match made in heaven” of Vietnamese independent cinema scene: director Siu Pham and Jean-Luc Mello. This two unique filmmakers and their romantic cinematic journey will bring to Okia Cinema these love stories that we bet you will find nowhere else ☺ except from them! The next amazing things are movies made by journalist, writer, and filmmaker Nora Ephron – those movies that make you feel nostalgic just by hearing their names. 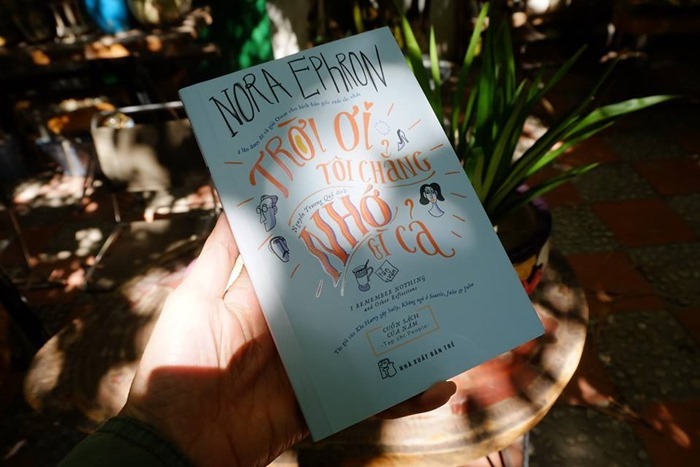 This film week coincides with the release of the Vietnamese edition of her book I REMEMBER NOTHING, translated by author Nguyen Truong Quy – ready to be introduced to literature and cinema enthusiasts! With the participation of our special guests, we believe that, this film week will become the most unforgettable cinema experience with Hanoi Lovers in Fall 2018!